1. Having a sensitive stomach is an everyday struggle. 2. Like a ticking time bomb, your stomach could go off at any moment. 3. Going out to eat is sometimes a nightmare, although by now you've been desensitized to using public restrooms. 4. You feel bad stinking up a friend's bathroom, but you gotta do what you gotta do. 5. You've made your share of pitstops just to use a restroom. And we're not all lucky enough to have Hugh Grant carry us to one. 6. Your biggest fear is that someday you won't make it to a bathroom in time. 7. You have a great appreciation for your bathroom at home and all that you've gone through together. "Home bowl, home bowl, you know just what I need." 8. You're wary of what foods you eat, but choose not to deprive yourself of everything greasy and delicious in the world. 9. Therefore you treat yourself, and suffer the consequences later. 10. Tums, Gas-X, Pepto, Beano. You name it, you've got it. 11. Probiotics are friends and food. 12. Your fridge has an endless supply of ginger ale. 13. 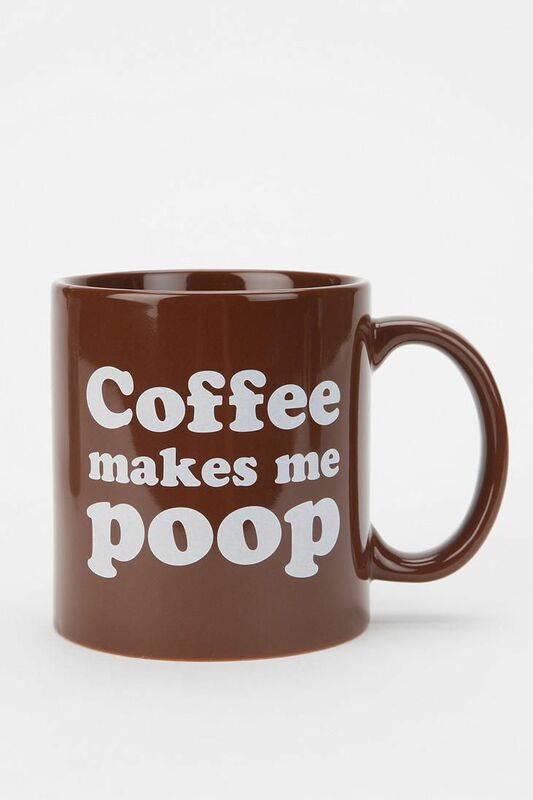 If you don't already own this mug, you've at least looked at it and been like, "that is soo me." "Everything" was probably just too long a word. 15. The upside is that you never feel guilty about skipping the gym.